Len Hands was one of Mick Tighe's clients (Mick is a Mountain Guide) and gave him these gloves when he 'retired' from climbing. They are actually motor bike gloves, but would seem to be well suited to mountaineering - after all, both activities can be cold and wet! 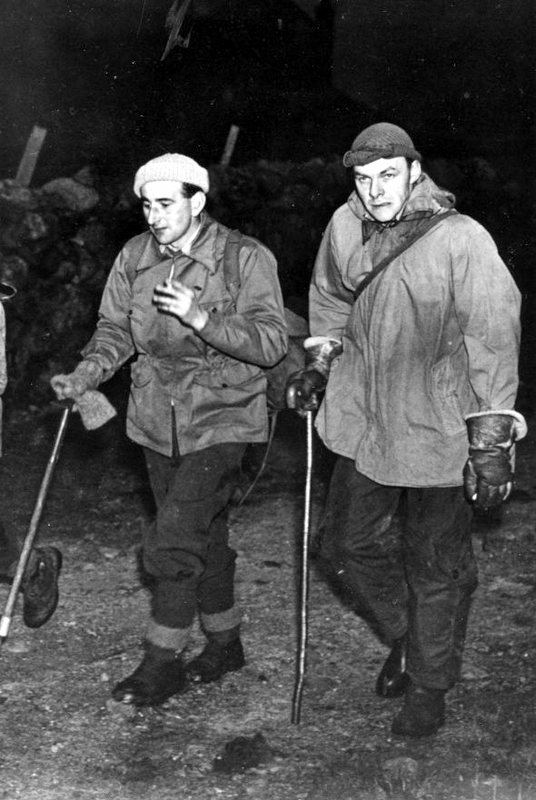 The fabulous picture opposite shows Peter Birrell, on the left with 'fag' in hand, and we think a police officer called Mcleod, heading off to a mountain rescue on Ben Nevis in the 1950's. 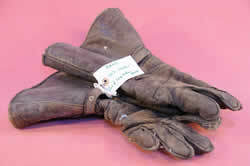 No Gucci gear in those days and note the gloves which are very similar to the ones we have here in our collection.